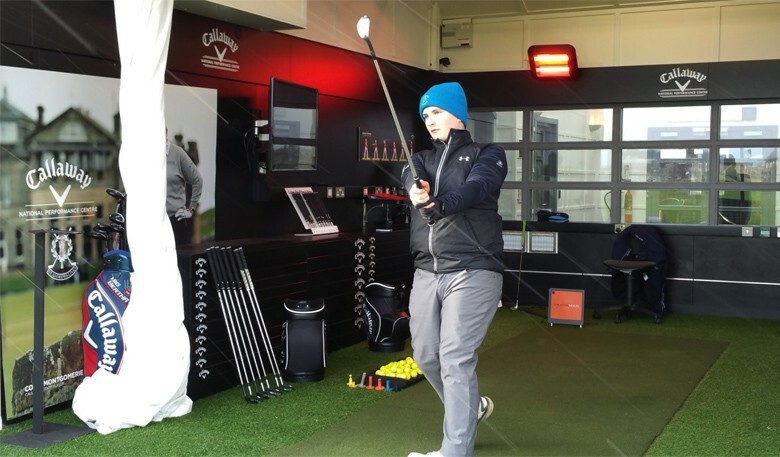 Here at the Custom Fit Centre at St Andrews Links Golf Academy we recently launched our Tour Van Diamond (TVD) package which offers our most comprehensive club customisation service available. 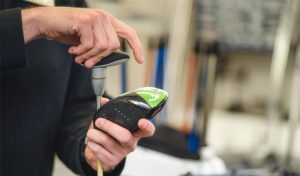 This premium package offers golfers an extensive 5 hours with our customisation professionals to examine every aspect of the bag, from driver to putter, to help you get more from your clubs. In January we welcomed our first ever TVD customer! 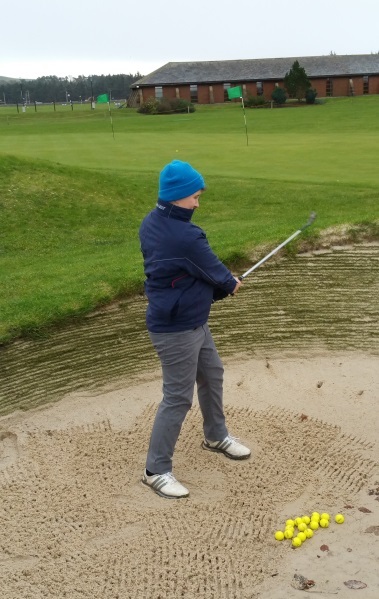 Stephan Campbell is a 4 handicapper who booked in with ourselves looking to improve throughout the bag. 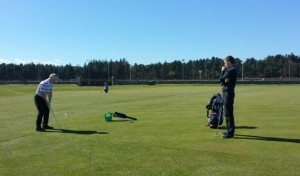 We spent an initial 2 hour session Stephan focusing on irons, woods and driver. We analysed various parameters such as weight, length and stiffness of shaft. From there we were able to calculate, club by club, which combinations best suited his swing and produced the best results. For example, we found that Stephan’s old driver wasn’t at its optimum so we fitted him with a Callaway Great Big Bertha driver with a stiffer shaft and set the club to draw minus 1 which resulted in improved ball speeds and reduced spin. Next up was an hour spent on short game. 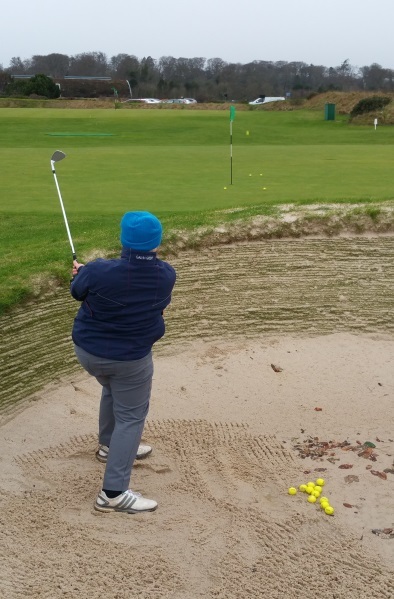 We first looked at Stephan hitting full shots from the bay before spending some time out in the short game area chipping and playing from bunkers. By assessing bounce, loft, weight, shaft type and grind we were able to identify how to adapt his clubs to best suit his style of play. The final hour of the session was spent working on Stephan’s putter with his coach present. Utilising our Sam PuttLab technology we were able to measure 28 different parameters of Stephan’s putting stroke to identify how tweaking his putter could help improve his putts. We reduced the shaft length to 33.25″ which proved to be a much better set up for his height. Also, Stephan had a tendency to forward press his putts so we decided to adjust the loft to 5 degrees and lie angle to 69 degrees. As part of the TVD package Stephan will return to the Golf Academy later in the season and spend a final follow up session with the team to reflect on his play and rectify any further issues. For more information regarding the Tour Van Diamond package or any of the other services offered by the Custom Fit Department at the Golf Academy visit our website or email us. How important is a wedge fitting?